The Gilas Pilipinas really dominated in their games against the much bigger and taller Russian team Today September 1, 2015. 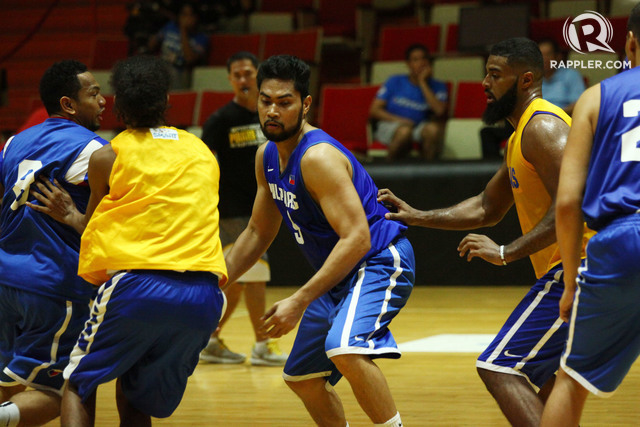 Ranidel De Ocampo of the Philippines lead the game with his 13 points, T. Romeo Added 11 while Abueva, Taulava and Ganuelas-Rosser contributed with 10 each. On the other hand, Glazyrin had 23 points, Goliakhov with 12, Uzinskii added 11, and Savelev scores 10 for the Spartak Primorye team (Russia). The Gilas won in a physical hard fought game 85-71. They defeated the former undefeated team in the tournament. It was really a great comeback from their lost against the South Korean team yesterday. Gilas Pilipinas 85 – De Ocampo 13, Romeo 11, Abueva 10, Tautuaa 10, Ganuelas-Rosser 10, Intal 8, Taulava 7, Rosario 6, Hontiveros 6,Alapag 3, Hontiveros 6, Thoss 1, Ramos 0. Spartak Primorye 71 – Glazyrin 23, Goliakhov 12, Uzinskii 11, Savelev 10, Fedorchuk 5, Fediushin 5, Ivanov 4, Zverkov 1, Pisarchuk 0. Quarterscores: 20-23, 43-40, 61-50, 85-71. The next game of the Gilas Pilipinas is against the Japanese team on September 2, 2015. Watch it on Sports 5 live at 3:00 PM.